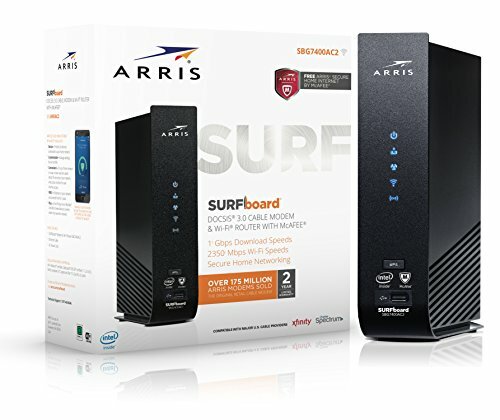 The Arris SURFboard SBG7400AC2 cable modem and Wi-Fi Router is a solid option that includes a DOCSIS 3.0 cable modem, dual band concurrent wave 2 AC Wi-Fi, and 4 gigabit ports. Although Arris markets this cable modem with speeds up to 1 Gbps, we do not recommend this modem for internet speeds above 500 Mbps. For what it's worth this modem also includes 3 years of McAfee Secure Home Internet.